Catholic Charities’ me4u concept promotes the value of fundraising for local communities. The program strongly encourages the value helping those less fortunate, with a fun and energetic activity-based approach aimed at school-aged children. 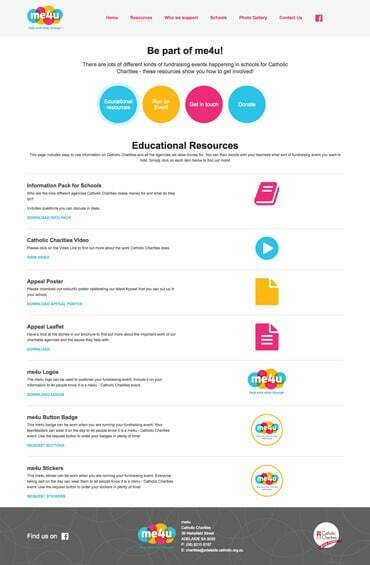 Catholic Charities briefed Fig Tree Digital on the need to increase overall participation in community fundraising. 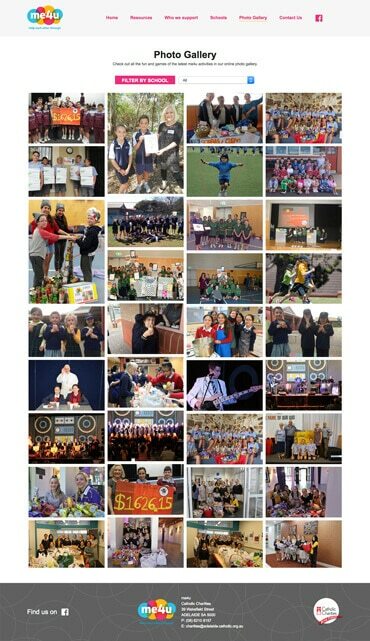 Our team was to develop a strategy and program to capture the attention and interest of Primary Schools in South Australia. 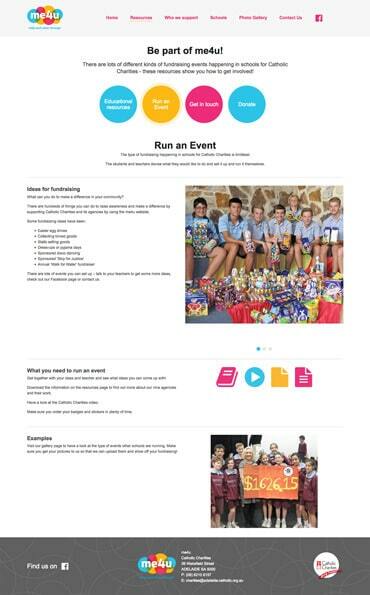 Our team worked with Catholic Charities to develop a new strategy and approach with a strong theme around fun and participation, encouraging school children to be involved and share the enjoyment of fundraising and giving to others. The program’s brand name ‘me4u’ and positioning statement ‘help each other through’ was developed as a message of positivity, aiming to inspire kids to selflessly assist others in need. 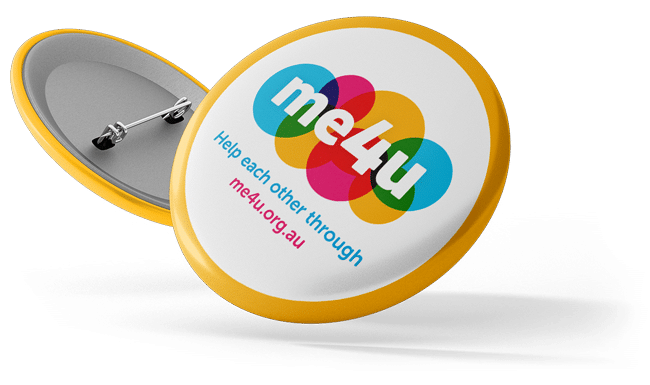 A bright and colourful new brand identity logo was created to capture the elements of fun surrounding the me4u program. 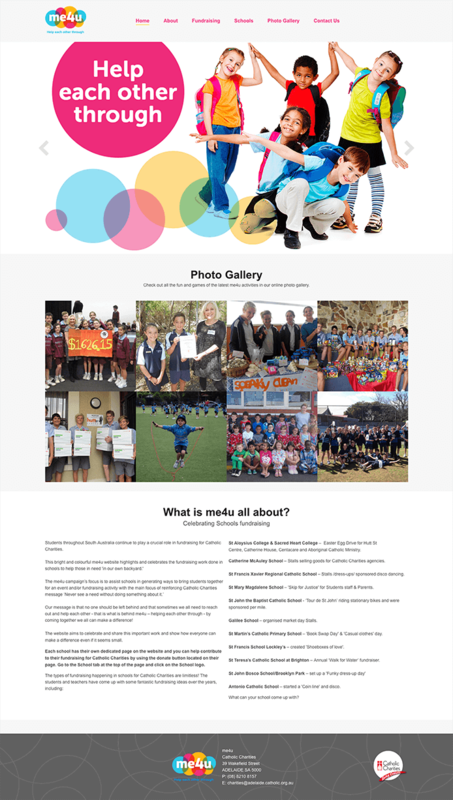 The newly designed website is me4u’s community hub, encouraging individual schools to celebrate their fundraising achievements and inspire others through photos of their fundraising activities uploaded to online image galleries. Bright and colourful marketing materials including badges and stickers were developed to help clearly communicate the value of participation. 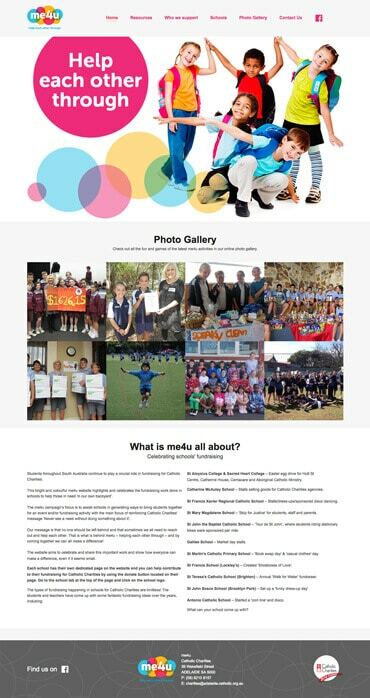 me4u’s new look website has attracted a high participation rate from South Australian schools. The program’s branding receives ongoing positive feedback from schools, with many more children asking how they can be involved. 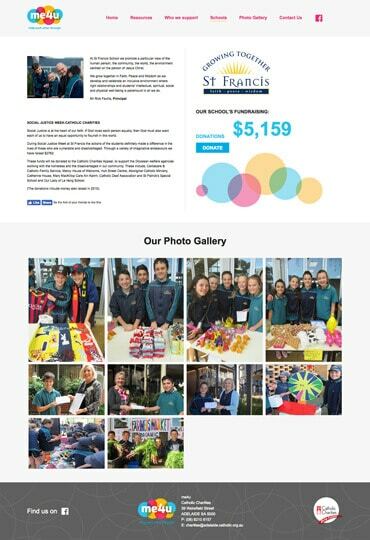 “The concept that Figtree has come up with for our School’s Campaign has had a huge impact on its effectiveness. We needed to break away from an image/brand that while recognisable was still seen as only attractive to an ‘older demographic’. With the me4u concept and delivery we have opened up a whole new way to communicate with our younger audience with a design which communicates our message simply and attractively.